An elegant 9ct white gold half carat channel set pave diamond ring. 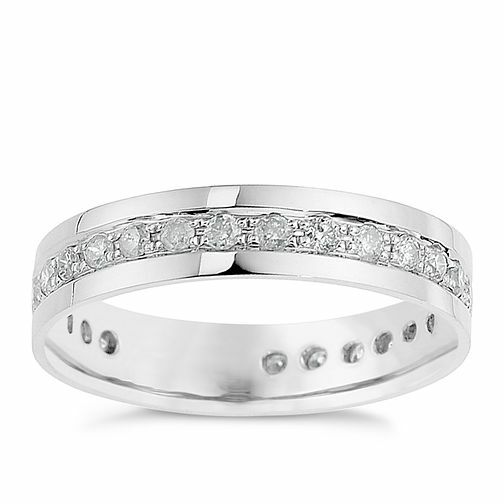 9ct White Gold Half Carat Diamond Pave Set Eternity Ring is rated 5.0 out of 5 by 6. Rated 5 out of 5 by Anonymous from Beautiful My husband bought this for me as an Xmas gift. Looks stunning and elegant. Very comfortable to wear. Diamonds are set well within the outer bands so nice and smooth.